What first comes to mind when we think about the number 25? It is a square number given by 52 ? A quarter of a hundred? 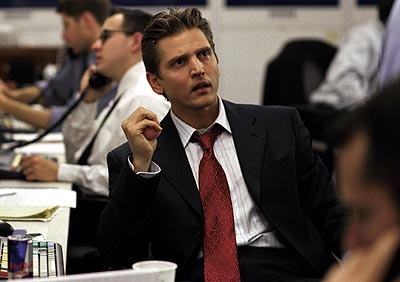 Or that movie The 25th Hour by Spike Lee where Barry Pepper was just so badass as a rogue Wall Street trader? (iii) In 2-dimensional geometry, a 25-side polygon is known as an Icosikaipentagon or a Pentacosagon. (iv) It is a Cullen number which can be represented in the format n · 2n + 1, where n assumes the value of 3. With that, allow me to begin things proper as I present the collection of entries for this current edition. Enjoy. Colleen Young explores the concept of inequalities with the Desmos graphing calculator, and separately informs us of this magnificent NASA Space Maths website on her Mathematics Resources Page. Those seeking means to prepare efficiently for maths examinations would most certainly find her post titled Revision Time! helpful. In case you haven't checked out Lance Friedman's Math Plane website, I strongly encourage you to. When the skill-sets of algebra, trigonometry and calculus are acquired in a theme meticulously fashioned along the likes of an airport terminal, learning is nothing short of inspiring. For the student getting weary of reading thick A level texts,Mavis Resources will definitely be balm for the mind. A Java-applet laden interactive website, it covers majority of Further Pure 1-3 as well as Core 1 and 2. Fret not, chapters on mechanics and statistics are also featured here. At Math Concepts Explained, Shaun gives a detailed treatment of differential calculus for beginners , while John Cook shares his insights about binomial coefficients in his blog The Endeavour. Incidentally, I have also written a piece to help students expand binomial series efficiently-this is made available at my supplementary site The Mathematical Sharpener. Have you heard of the butler stick? Bon Crowder believes it can be transformed into a tool for teaching mathematics. In her own words: " I found a strange math tool that was designed to do something other than teach - until now!" John Hunter pays a glowing tribute to the late statistician George Box in his Curious Cat Management Improvement Blog, emphasizing that beyond the realm of mathematics, he was a man of strength and goodness. That's all folks for this current edition of the Math And Multimedia Carnival.